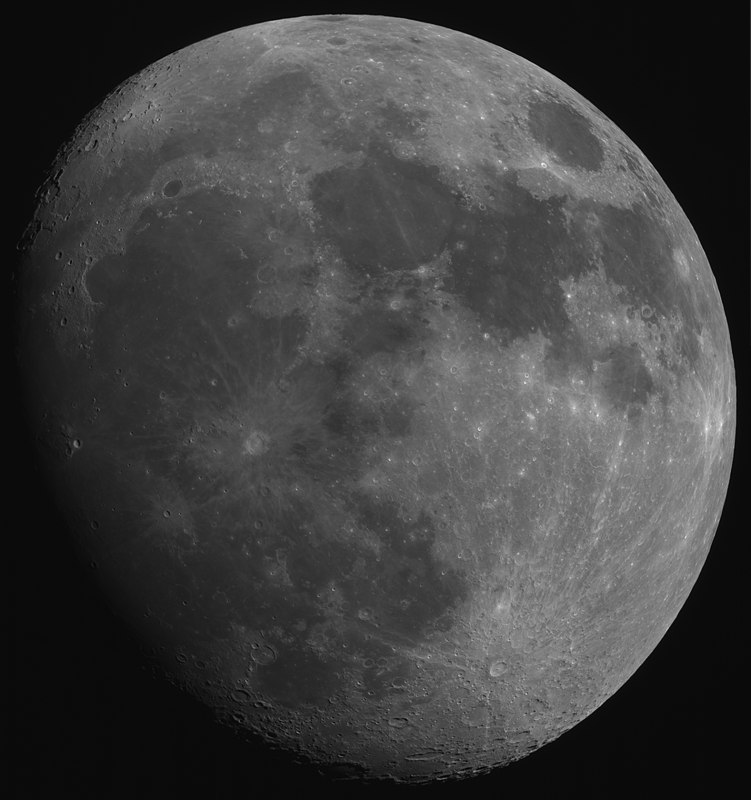 Four overlapping panes of the Moon were captured as 2500 frame SER files at maximum resolution of 1280 x 960, using AstroDMx Capture for Linux, running on a Debian laptop, with an f/5, Skywatcher Explorer 130 P-DS OTA Newtonian and a QHY-5L-II-M camera, fitted with a 2" adapter and a 13% transmission neutral density filter, mounted on a Celestron AVX, EQ, GOTO mount. The best 40% of the frames in each SER file were stacked in Autostakkert! running in Wine. Each of the four resulting images was wavelet processed in Registax 5.1 running in Wine and the resulting images were stitched in Microsoft ICE also running in Wine. The final Mosaic image was processed in the Gimp 2.9. Click on the image and click again to get a closer view.